New cruise ships feature all sorts of technological marvels. The Carnival Breeze has many, including a huge LED screen in the Ovation Theater used in its new production shows. 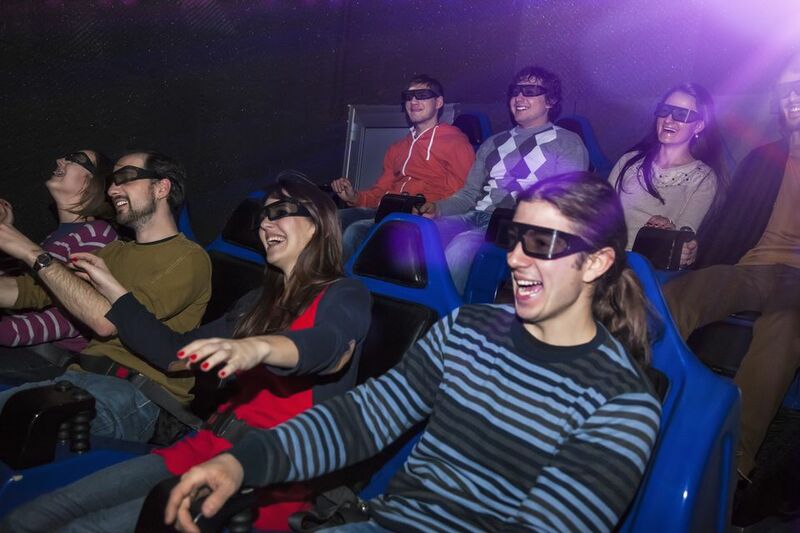 While on a Mediterranean cruise on the new ship, we experienced another high-tech thrill in the aptly-named Thrill Theater, which is a multi-dimensional, interactive movie experience. It's much more than 3-D (although we wore 3-D glasses) and a high-definition screen, since the 24 of us in the theater were almost a part of the animated movies. We saw two short features, each about 8 to 10 minutes long. The first starred Sponge Bob, and our seats shook, shifted, vibrated, and bumped during an exciting chase. We also had bubbles flying around and water misted in our faces. The second short animated movie starred Mumbles the penguin in a wild ride in Antarctica. The temperature in the theater cooled slightly and we could almost feel the snowy climate. This feature included a slide down an icy mountain, filled with bumps and spills. It also included being chased by a ferocious elephant seal. When the seal emerged from the sea and blew water from his nose, we were all sprayed with a mister. A little scary in some parts, but exhilarating and hilarious. The Carnival Breeze Thrill Theater should be great fun for most age groups. Parents will need to decide about how their children will take to the experience. The shows run every 30 minutes, and most features run less than 10 minutes. Two features are shown at each sitting. Guests can buy one viewing or an unlimited pass. Since the Carnival Breeze shows about 10 different features, the unlimited pass is a good buy if your family loves high-tech multi-dimensional experiences like this one. The 3,690-guest Carnival Breeze is a sister ship to the Carnival Dream and Carnival Magic.